Computer Cookies are text files that store information about specific things like your login information, your browsing history, or your preferences when you visit a website. Think about the last time you visited Amazon. How did it know you liked a certain product? Cookies! Sometimes cookies get corrupt and need to be deleted. Cookies do not pose a risk since and they do not contain viruses nor do they spy on your computer. Sometimes things get stuck in your browser and it makes a website or blog not function properly. When your house gets dirty you pull out the vacuum cleaner and clean out the cobwebs. When the Internet gets dirty you need to remove cookies and cache files. 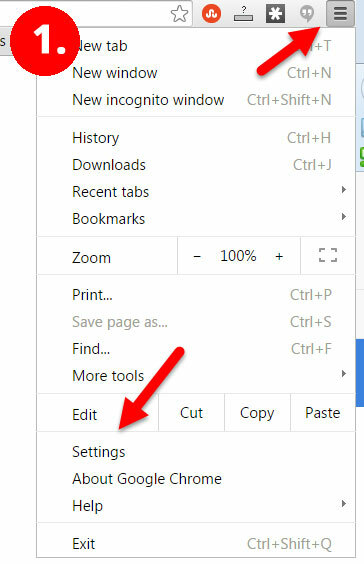 You can remove all cookies and cache files but sometimes that is overkill and it also removes all of your settings, personalizations for a site you visit regularly and other customizations you might have made. If you are having an issue with one particular website or blog you visit on a regular basis, the easiest thing to do is remove cookies and cache files from just that site. Maybe something doesn’t look just right or doesn’t load properly or even might load things you don’t want like adding your name and email address to the comments form in WordPress. 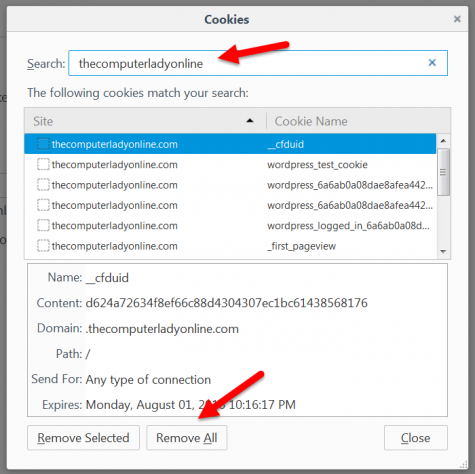 Here’s how to remove cookies for specific websites and blogs without having to remove them all.